Well, Amy, I think your Calhun posting and headline is the best response to the answer seemingly poised as a question by the reviewer that could be got! 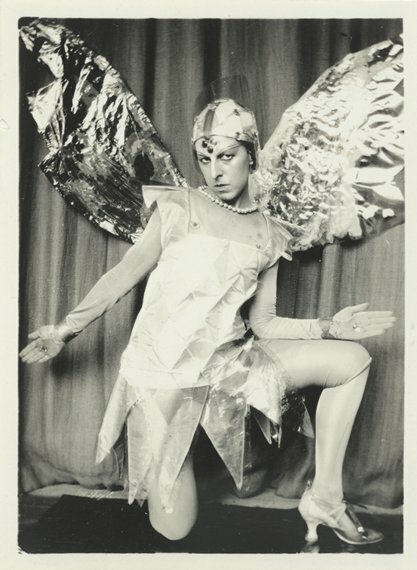 Claude Cahun. Begetter of pre-surrealistic visual language(s). I recall Stein figuring into Cubism with language(s) before Picasso . . . I saw *Lover Other* at the Woodstock Film Festival where Hammer answered questions. She wondered if the film, created in an appropriately surrealist style, was hard to follow. Many people in the audience said it was, which surprised me. I found the film much *easier* to follow than most since the subject matter was so absorbing that my attention never strayed. I want more “hard-to-follow” art of such beauty and wit. 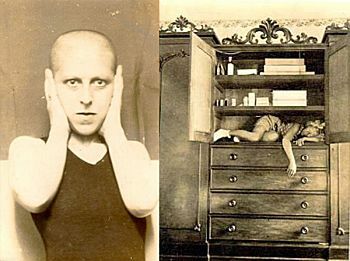 Claude Cahun and Marcel Moore were not only important figures in the art world. They also acted as Resistance propagandists during the German occupation of the Channel Islands (they lived on Jersey). Arrested shortly after the Normandy invasion, they served time on death row before the Liberation.